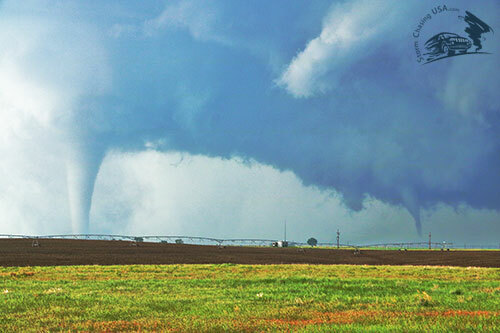 As of the morning on Day 5 I had seen 13 tornadoes in total. I was about to double that number today. 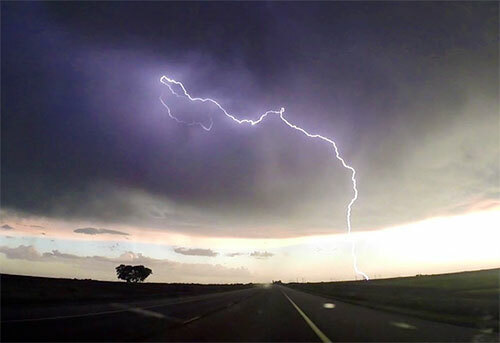 Day 5 was an epic storm chase day and many seasoned storm chasers have mentioned this was their best day ever. I was fortunate enough to experience the Dodge City-tornado outbreak of 2016. We knew today was going to be a major chase day but the target area was not 100% clear. Some things pointed towards the Texas or Oklahoma Panhandle and other further up in Kansas. We positioned ourselves in the heat in Woodward, Oklahoma, in the early afternoon. Around 4 p.m. cells started firing up near Minneola in South west Kansas. 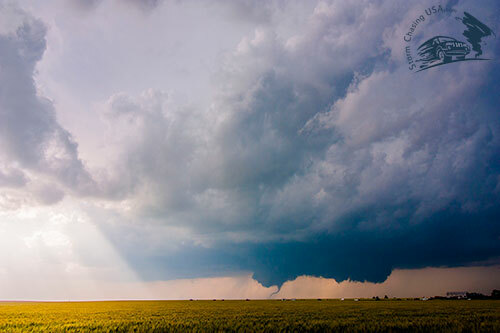 Erik noticed a subtle low pressure in that area and was convinced that would definitely be a major event – “I have seen this before, this storm will go nuts!” he mentioned to his two chase partners who was more convinced of staying in our area. They discussed for quite a while until Erik convinced them and we blasted north. Erik was right. The storm positioned itself on that boundary and just grew bigger and bigger and for us it was a race against the clock and I was super stressed in the back seat worrying we would miss the show. When we arrived the storm was south west of Dodge City and was showing an impressive wall cloud. At this point we knew it was just a matter of when the storm would fire a tornado. We got a little bit closer but when the storm started producing a funnel we stopped and looked. The show of the decade was about to begin. There was not long until a tornado started to form. After that everything was just going crazy. 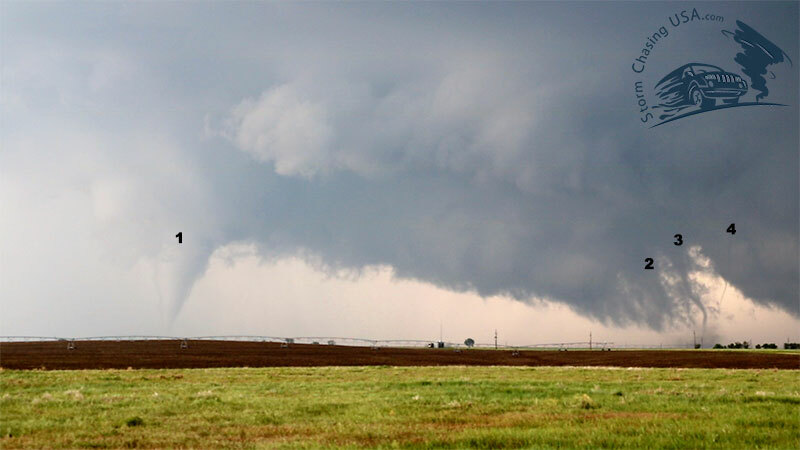 The first tornado stayed on the ground for about 30 minutes. The storm generated a second wall cloud which started spitting out secondary tornadoes as well. At one point there was four vortices (two tornadoes) At The Same Time! At this brief point, the Dodge City supercell actually had four tornadoes on the ground at the same time! Many times the cell had two tornadoes on the ground at the same time. 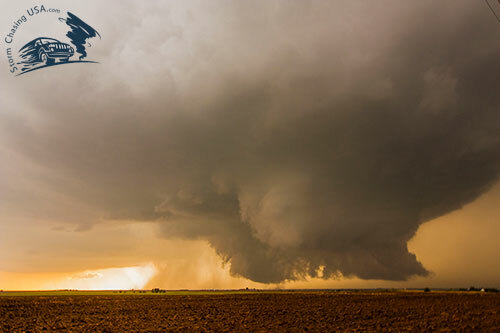 Structure shot of the supercell with a rope tornado on the ground. This is one of my all time photos! We drove a little bit closer as the storm progressed and regrouped but never got really close. First of all, we did not want to waste time in the car when there was tornadoes on the ground, second of all the roads to our west (where the tornadoes were) were mud roads not suitable for our car and thirdly, the storm was dropping tornadoes everywhere so it was not safe. 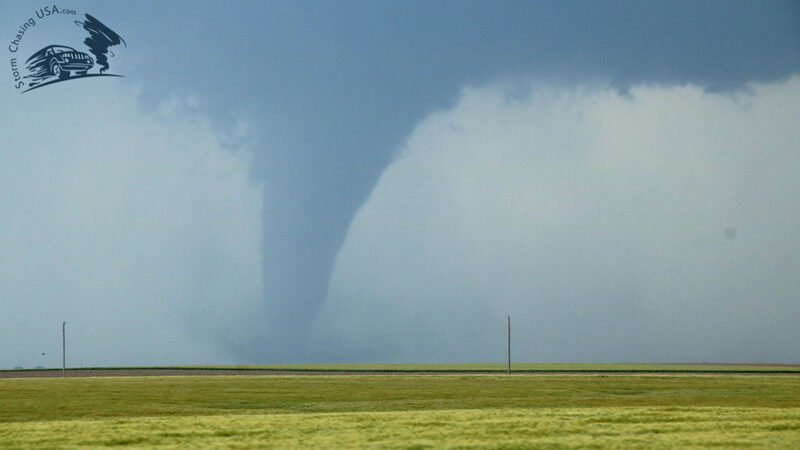 One of the multiple tornadoes we saw. Another storm chasing tour company enjoying the tornado at a safe distance. 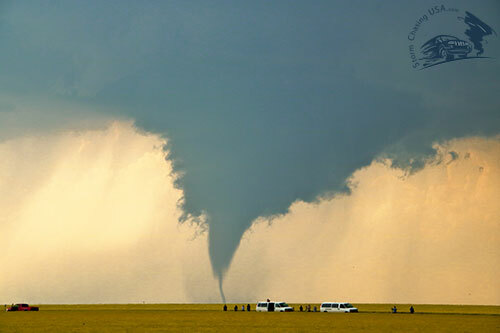 One of the last tornadoes roping out. The wall cloud of this storm was MASSIVE. The storm missed Dodge City, KS, by a mile or so and while we were driving into town we saw the last tornado rope out behind the trees and houses. We chased it a bit further and followed another tornado warned storm for a while until we called it a day and headed back to Dodge City. Like most of these amazing days you don’t just get tornadoes but we also saw some amazing (anvil) lightning, some while there was a rainbow. On our way back we also stopped to photograph the most amazing mammatus field I have ever seen (even better than Leoti, KS, last Saturday). Powerful lightning from the dying anvil above us. 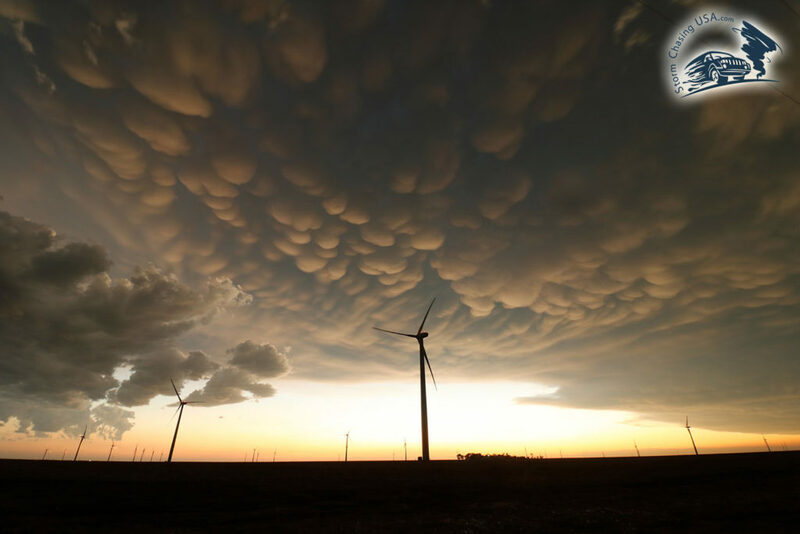 Mammatus clouds at sunset by a wind mill farm. This is one of the best photos I have ever taken, I think. Just love this one. I feel so grateful to have experienced this day since it surely will be a day I will remember for the rest of my life. I don’t know how many tornadoes we saw today but it was somewhere around 15. Not only did we see many tornadoes but they were all unobscured, good contrast and high based. We saw all ranges of tornadoes, from wedges to drill bit-tornadoes. 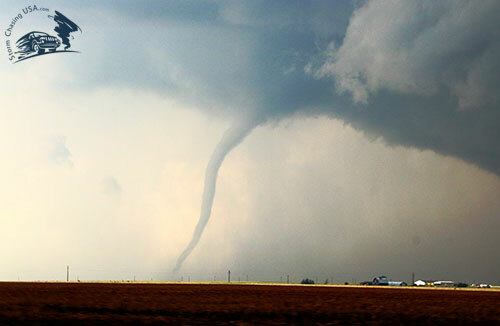 Thankfully, the tornadoes never hit Dodge City either and there were no casualties. In other words – it was the perfect storm. We finished the day at Applebee’s in Dodge City that was full of storm chasers. I got to meet storm chaser legend Reed Timmer (from the Storm Chasers TV-series) and had a well deserved beer. Update: I will probably continue to update this blog post with more photos and videos as I am getting them edited. Chase day: May 24th 2016.